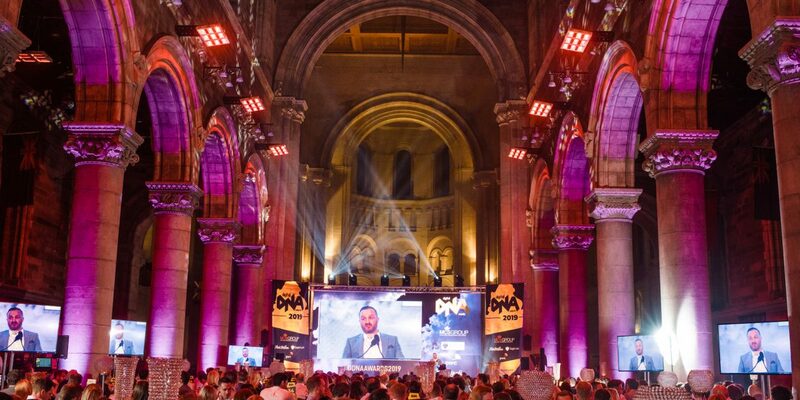 Whitespace has picked up the highly-coveted Company of the Year title at the Digital DNA Awards held at St. Anne’s Cathedral, Thursday 28 March 2019. The multidisciplinary software development firm received the award after an independent judging panel and a public vote was cast amongst a short list featuring Northern Ireland’s best digital and technology businesses. The illustrious ceremony was hosted by presenter Zöe Salmon and comedian Shane Todd with nearly 500 people in attendance. Having started as a venture capital fund, Whitespace was founded by a team of computing experts, corporate innovation practitioners and investment advisors. In 2016, it closed its fund and established its Belfast IP Lab to focus on tech IP creation and intelligent Cloud software development for startup teams, corporates and investors. Glenn McClements, General Manager of Whitespace’s IP Lab, said receiving the award was “all down to the team”. “We genuinely weren’t expecting to win Company of the Year. The quality and stature of the other nominees was exceptional, so to win this is a fantastic achievement. On behalf of our entire team, we greatly appreciate the recognition from our peers and the public, without whom this award wouldn’t be possible. “These awards are a result of a fantastic year for the Whitespace team. Over the past 12 months, we have been working with some of the biggest brands in the world, as well as building a stock exchange. It’s a hugely exciting time for us,” he said. Whitespace also picked up the Deal of the Year Award. Other winners on the night included Paddy O’Hagan, Chief Operating Officer of tech firm Neueda, who picked up Business Personality of the Year whilst Origin Digital’s Nuala Carland was named Developer of the Year. Startup of the Year went to Importwise, Daniel McGlade, Founder and CEO of content management firm Oroson, was named Entrepreneur of the Year, and the award for Best Tech for Good Innovation went to Allstate NI for its cyber security for children programme. Simon Bailie, Chief Executive of Digital DNA, said the record number of entries for this year’s awards meant there was plenty of tightly fought competition. “Our independent panel of judges were overwhelmed and impressed with the calibre of entries. Having gone from strength to strength, winning this competition has solidified itself as a launch platform for some organisations and individuals to go bigger and better whilst also recognising the impact that some of our more established firms and personalities have had. 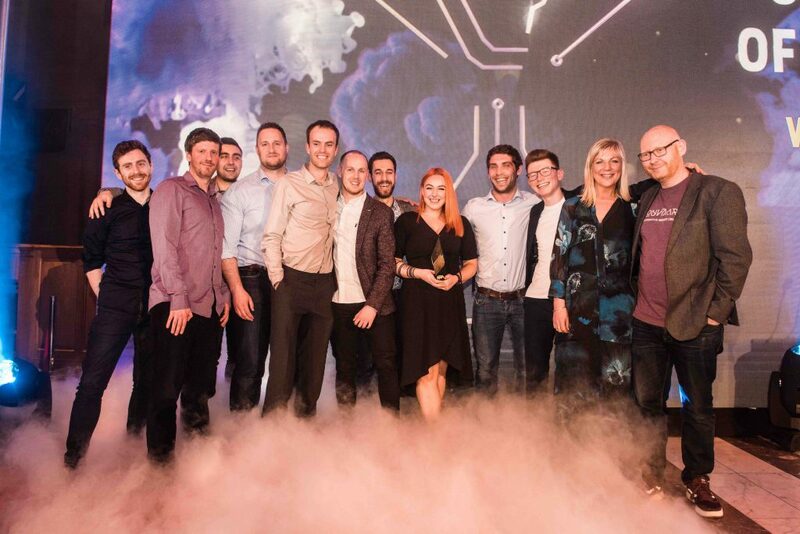 “In our time as a proud and committed sponsor of the Digital DNA Awards, we have seen the very best of our local technology and digital sector come to the fore. Each of them are helping to advance our local economy, so it is only right that we showcase the diverse range of talent Northern Ireland has in this dynamic sector.